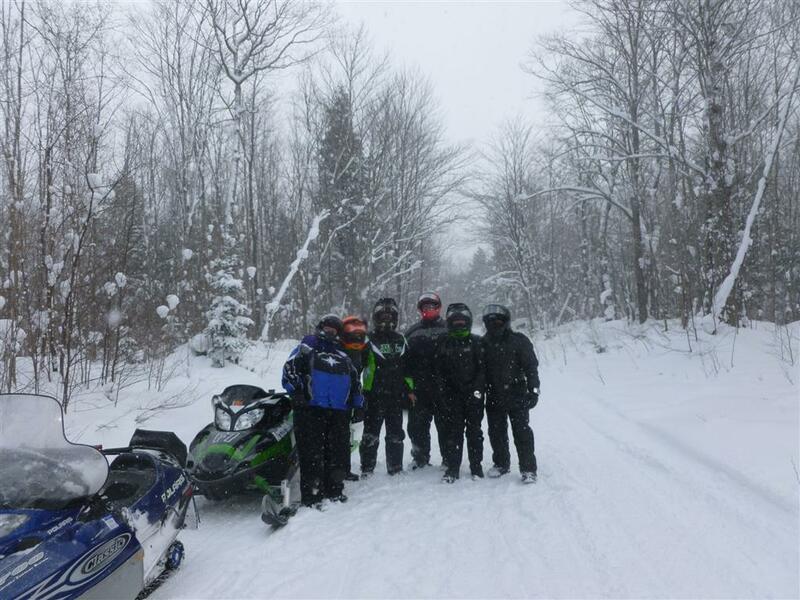 Bruce, Arnie, Steve and Susie Wente rode to Frederic to attend the Vintage. 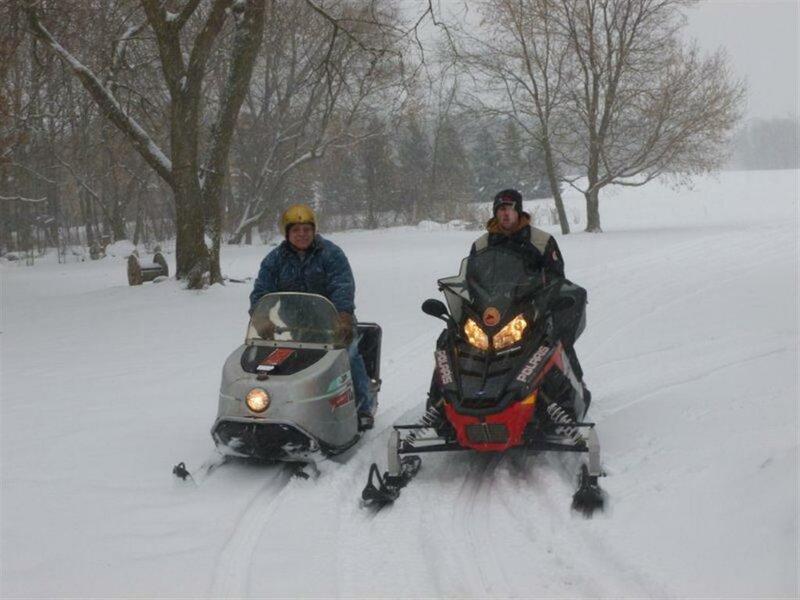 Nice ride, good company, great vintage sleds!! Who would have believed that we’d be able to make our final ride of the season on March 23. 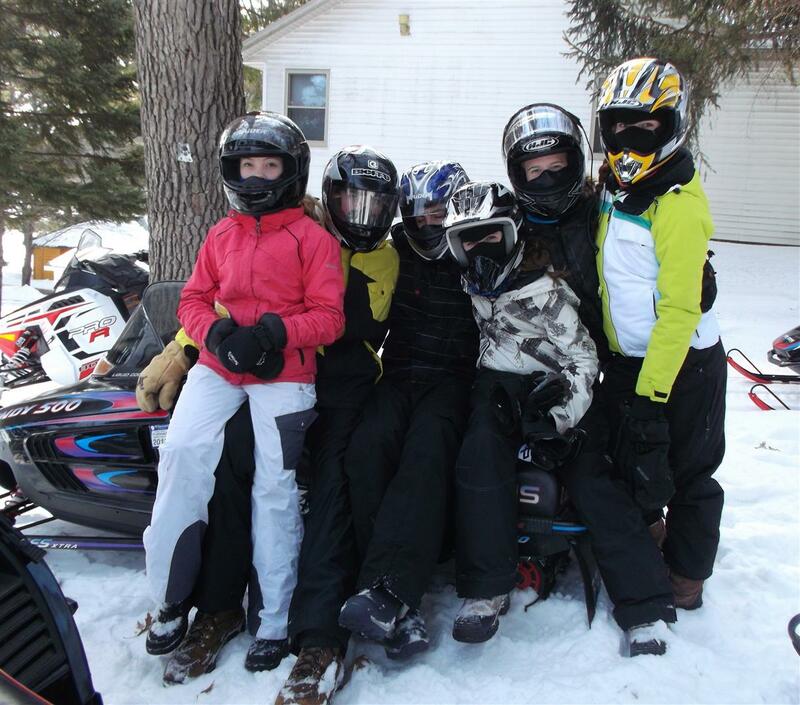 10 sleds, 125 miles & 14 hours later, the group had another memorable ride this season. We started at Wind Lake, rode past the Castle Tap to Luck where we stopped at the BonTon Saloon for lunch, a drink and some cards. 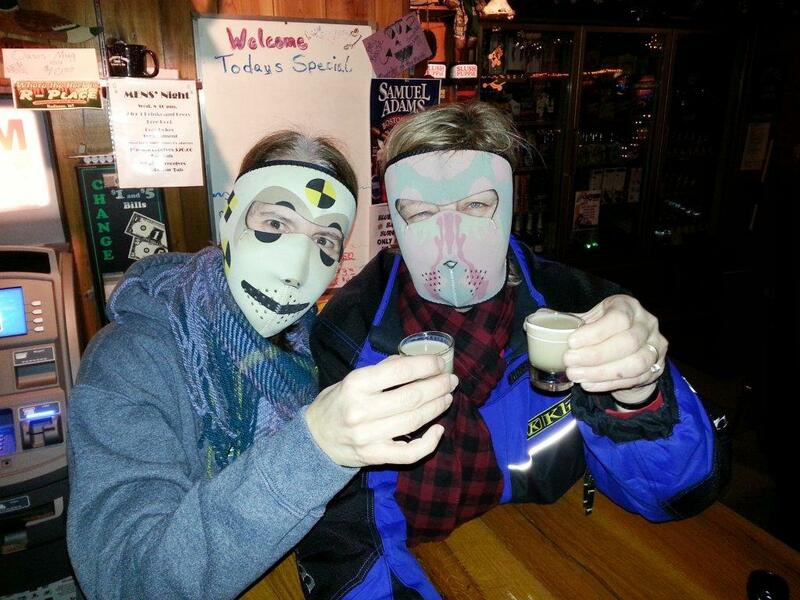 We then headed east to Cumberland and stoped at the County Line bar for another drink and snack. The snow started to get slushy as we headed south to Turtle Lake for dinner at the Hotel Bar. After dinner we were off to the Castle Tap for our last game of cards, then we finished our ride by stopping at the warming shed for a reflection on the day. Just a beautiful day, georgeous night and a wonderful trip to end the season. The annual ‘Ranch Run” was made on March 1-3 by Frank, Jeff, Mark and Ken. 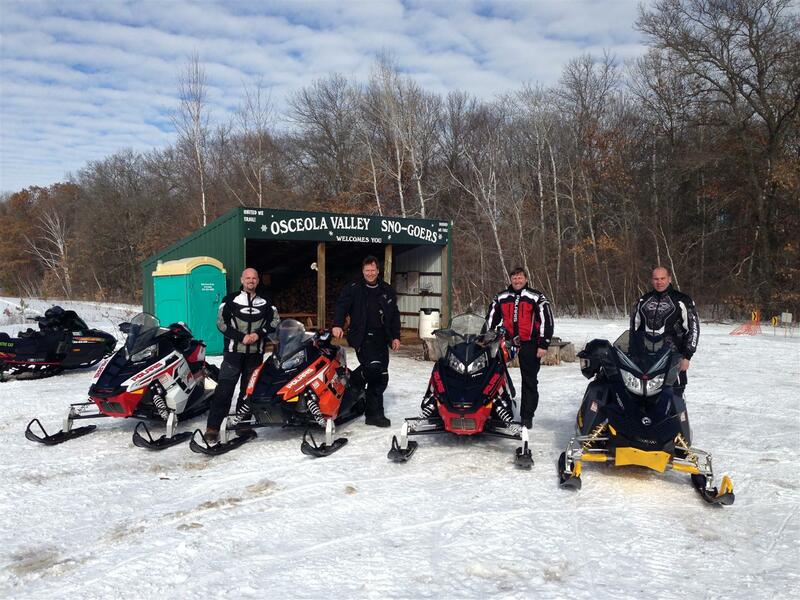 We started from Bass Lake, (south of Somerset) and rode through Polk County on our way to the Jeff’s Ranch by Minong WI. 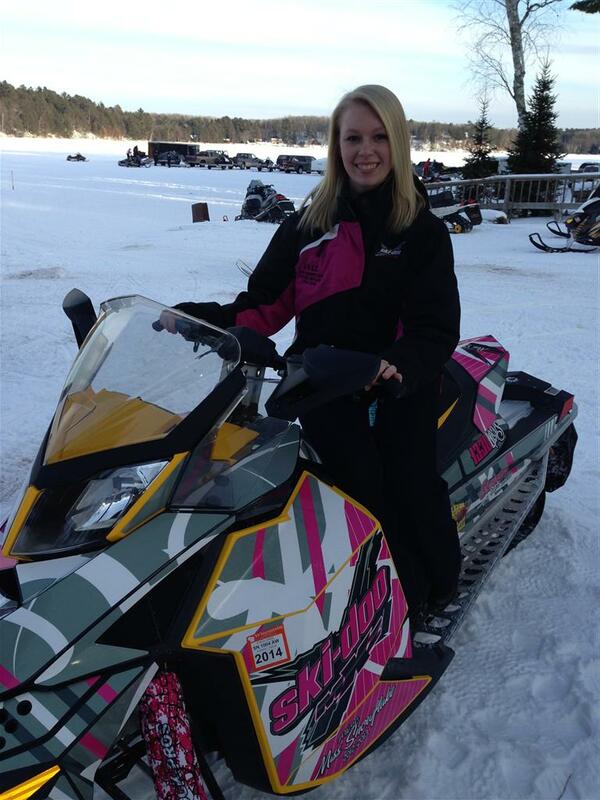 We rode around the Minong area on Saturday and returned to Bass Lake on Sunday. The ride home was very fast as we headed south from Minong, down Cooridor 39 and west on the Cattail trail back to Polk County. We had to stop at the warming shed on the way home and snap a picture. 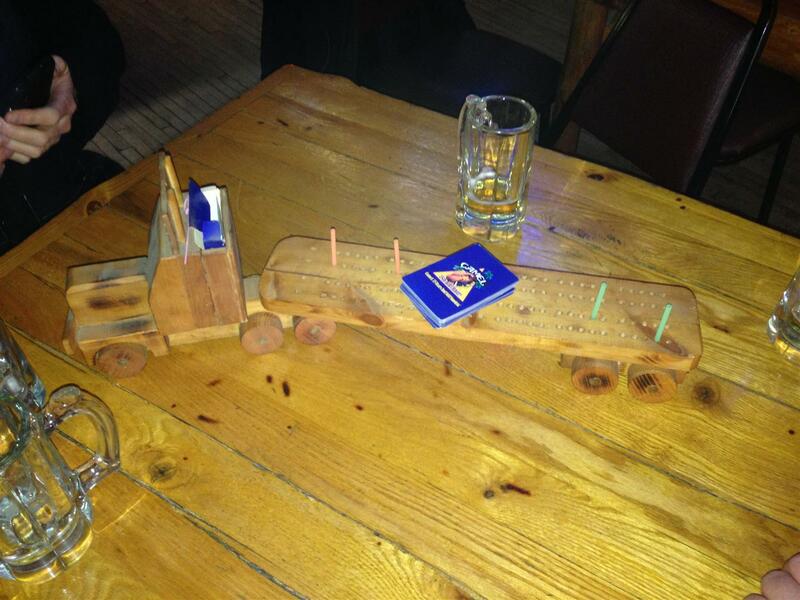 Playing cribbage is always a highlight, but during this trip, we found a very unique cribbage board. Bar straws were the perfect pegs for this board. 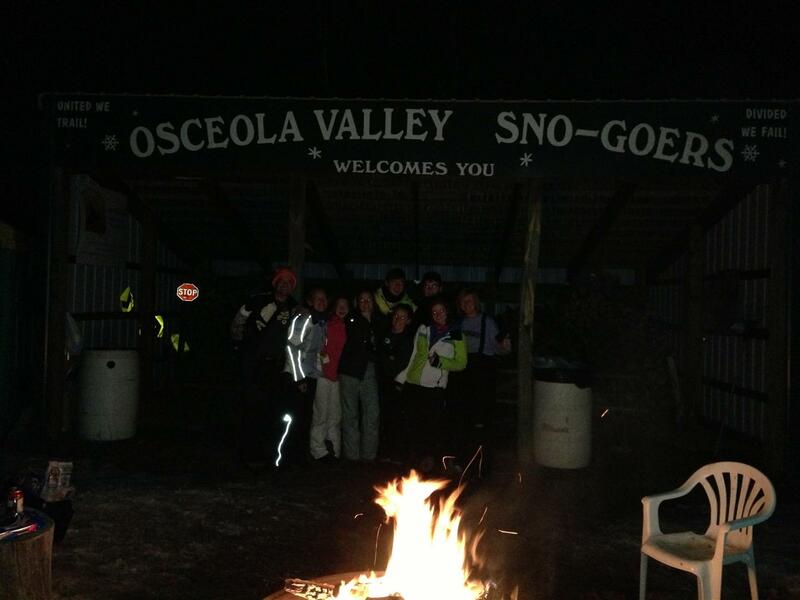 Julie and the gang made their annual Sletter ride. Looks fun!! 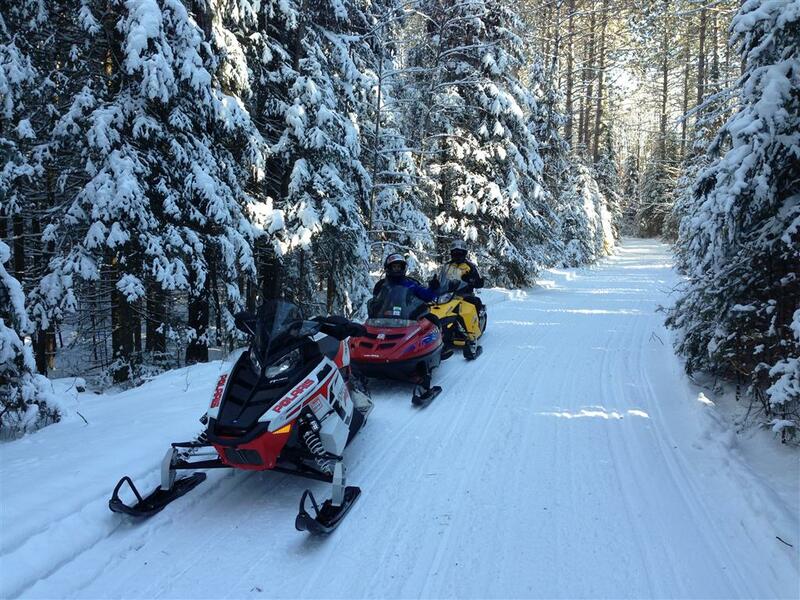 You never know who you’ll run into when riding in northwestern Wisconsin. 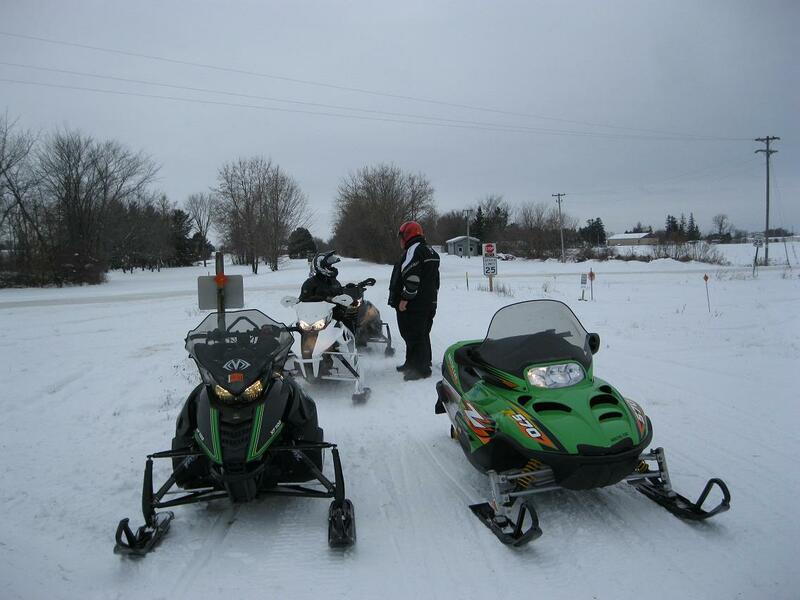 Frank and his group were in the Hayward area on February 2 enjoying the great trails of Sawyer county when they crossed paths with the 2013 AWSC Ms Snowflake. 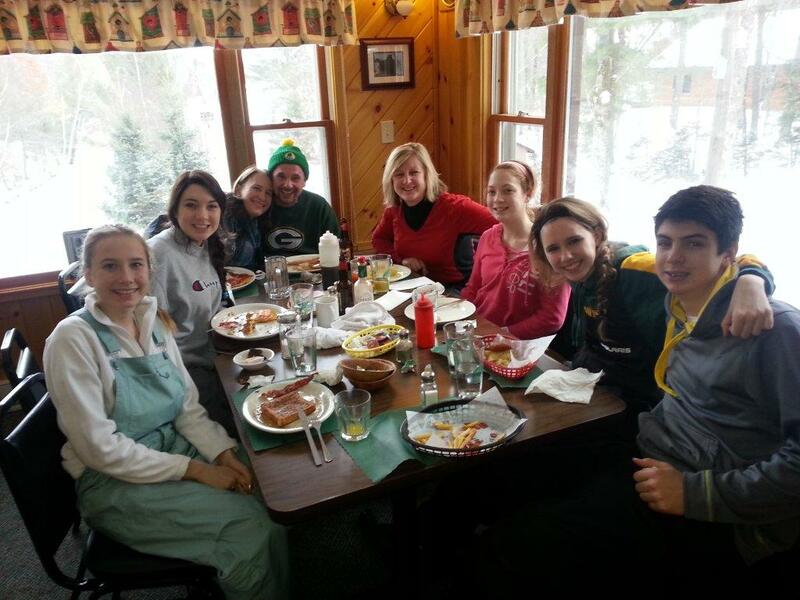 The Sommerfeldts and Osmians joined forces on January 16-18, 2013. 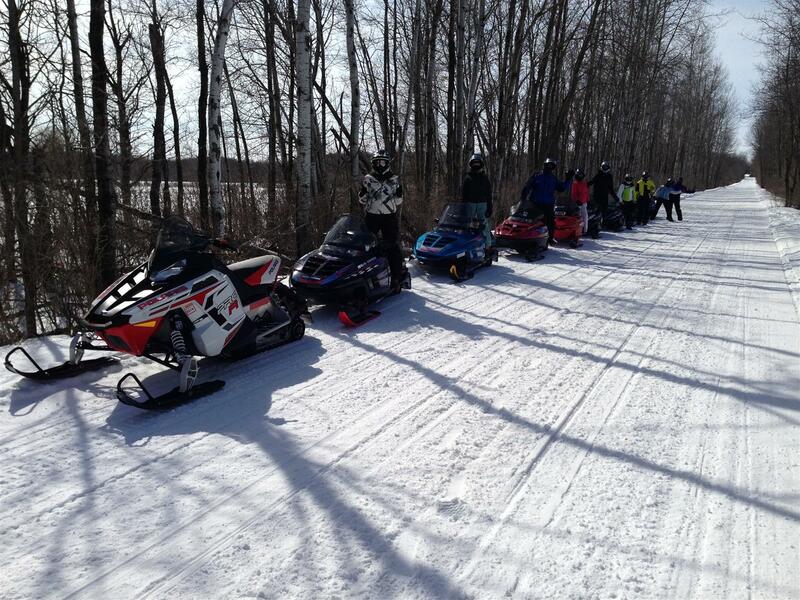 They braved the lack of snow, cold temperatures and high winds to ride the Chippewa flowage in the Hayward area. 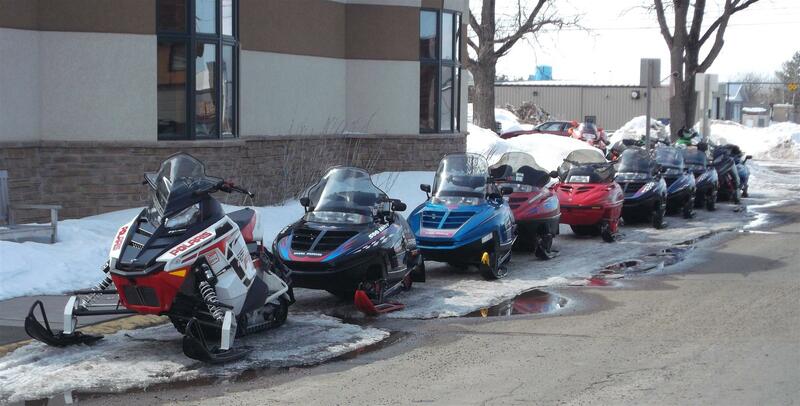 They were able to ride almost 100 miles on very limited snow. We’re hoping for MORE snow! !